There's a 5' x 5' asphalt patch on northbound Boyer just north of Pine that seems to be sinking. Drivers are frequently veering to the other side of the road to avoid this one. This one is bad for sure! Guilty of veering around this one! Thank you for using Engage Sandpoint. We understand the concern. This issue is the result of private utility work taking place after asphalt plants had already closed last fall. The City is in contact with the contractor who will be repairing it as soon as the plants re-open next month. Your request has been closed. Thanks again for using Engage Sandpoint. Thank you for using Engage Sandpoint. We are reviewing your request and will respond as soon as possible. This street light is owned and maintained by Avista. We informed them of the issue and understand that it has been addressed. Your request has been closed. Thank you for using Engage Sandpoint. There is a lot sand/soil in the court house parking lot and the parking lot just north off Lake and 1st. 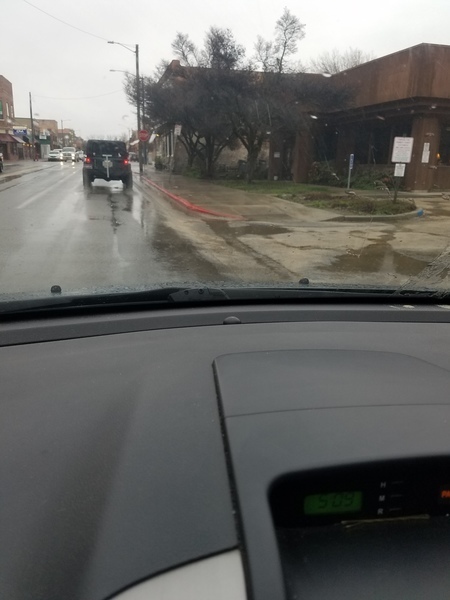 With the rain, it is running down the street into the storm drain. Who's jurisdiction is this? Thanks again for informing us of the concern. We have been in touch with the property owner. They are scheduled to address the issue tomorrow or early next week. Your request has been closed. Thank you for using Engage Sandpoint. This was left over from a water main that broke this winter. I know there are atrocious potholes everywhere but this one is pretty bad. Thanks a ton. Thank you for the feedback! It’s in our list. Pothole repairs are scheduled for early May. The asphalt plants are not open yet but crews are ready to hit the ground running when they do. Your request has been closed. Thank you for using Engage Sandpoint. Thank you for letting us know! We will add it to our list. Crews will be out next month working on signage and striping. Your request has been closed. Thank you for using Engage Sandpoint. Your request has been closed as this is a duplicate issue posted. We will be addressing this issue on request #5717822. Thank you for using Engage Sandpoint. There is a tree limb blocking view of the stop sign on Boyer heading south at Cedar Street. The tree across the street from 620 s. Division Ave. needs trimmed. It's growing branches are pushing hanging wires up and down, possibly creating a hazard. Thank you for using Engage Sandpoint. I believe the lines you see are not power lines but rather communication lines such as Frontier or Northland would have providing phone internet or cable to the community. Communication lines are generally well shielded low voltage and often run through tree branches. Power lines are generally another 15 ft higher and connected to a transformer at the pole. If any of the wires are connected to a transformer at the nearest Pole, please call Avista at (800) 227-9187. Your request has been closed. If you have any additional concerns please call the Urban Forester at 208-265-1480. Thank you for using Engage Sandpoint. Box over water meter seems to drop lower into lawn each year. Is this a concern? Can it be raised up so someone does not trip on it. Your request has been closed. Thank you for using Engage Sandpoint.